After a year on the market, Porsche’s Panamera has certainly left its dealers and the powers that be at Porsche Cars Canada smiling. Despite sluggish industry sales surrounding the luxury, four-door’s Oct. 2009 launch, the expectations in one year have been surpassed, helping the German automaker grab 15 per cent of a competitive segment virtually overnight. The vehicle’s success, he said, is owed to a number of factors, least of which the hard work of dealers in promoting the car. “My message to our dealers is congratulations, and there's more where that came from,” he adds. 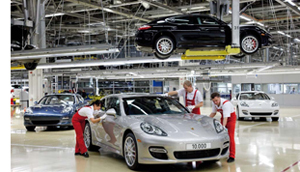 Lawrence said the Panamera was designed to reach out to a new target audience for Porsche forcing his team to work outside of its “comfort zone” for many of its marketing initiatives. The program also included a customer lifestyle publication, courtesy of Porsche’s advertising agency Yield, called B4 to demonstrate how the Panamera could fit into potential customers' lives. “Our dealers also stepped up with several creative marketing initiatives. 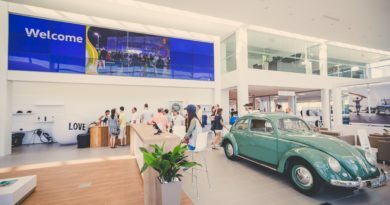 Many of them held launch events outside of the dealership, in airplane hangars, at clothing stores and other innovative locations. 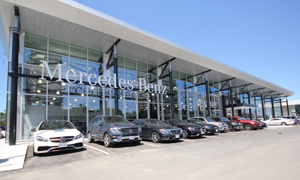 Dealerships also developed marketing partnerships with other high-end luxury brands like Harry Rosen,” he said. Heading into its second year on the market, representatives at Porsche said the recently launched V6-powered model (priced from $88,000) should keep demand strong. While Lawrence admits to some expected “decay” in interest for the high-end Turbo model, he said sales should remain relatively steady of what he calls the “core,” Panamera 4 and 4S. “A number of revised competitors are entering the market, but we think the Panamera remains a unique proposition as the only true sports car with four adult-sized seats,” he said. Look for Porsche’s Canadian Currency Credits to remain (as long as the Canadian dollar remains strong versus the U.S. greenback) and the new customization option that includes 20-inch wheels, an aerodynamics package and a power kit for the Panamera Turbo that boosts power from 500 horsepower to 540 to help drive sales. Also, Lawrence adds, a Panamera Hybrid will hit showroom floors sometime in 2011.